Turn off the Kodable background music (and keep your sanity!). 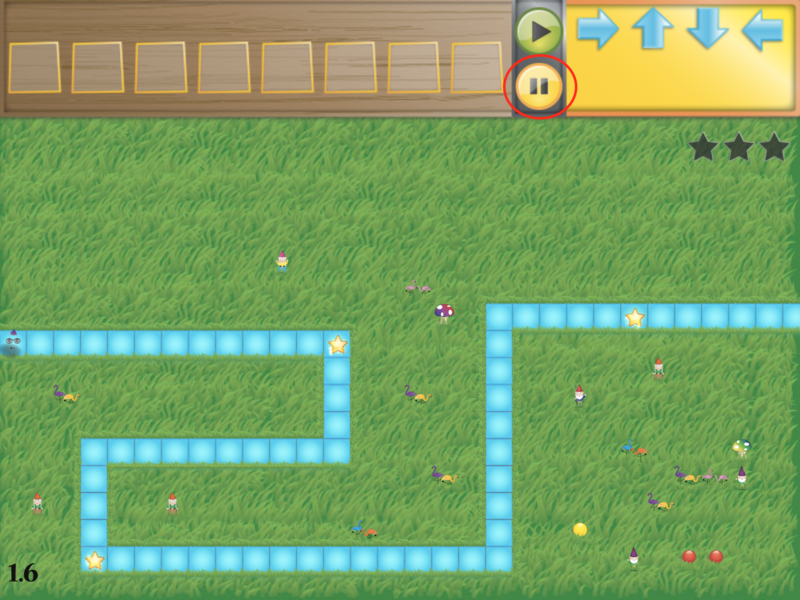 Is your child playing Kodable without headphones on? You can mute the music if controlling the volume isn't working out. To mute the music from the home screen, click the yellow "music off" button. 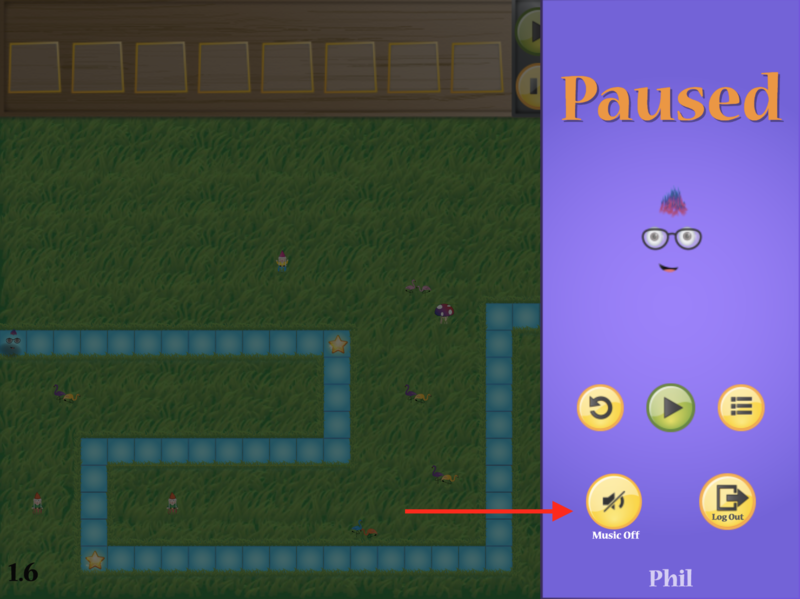 If your child is in the middle of a level, clicking the yellow pause button will bring up a "music off" option. 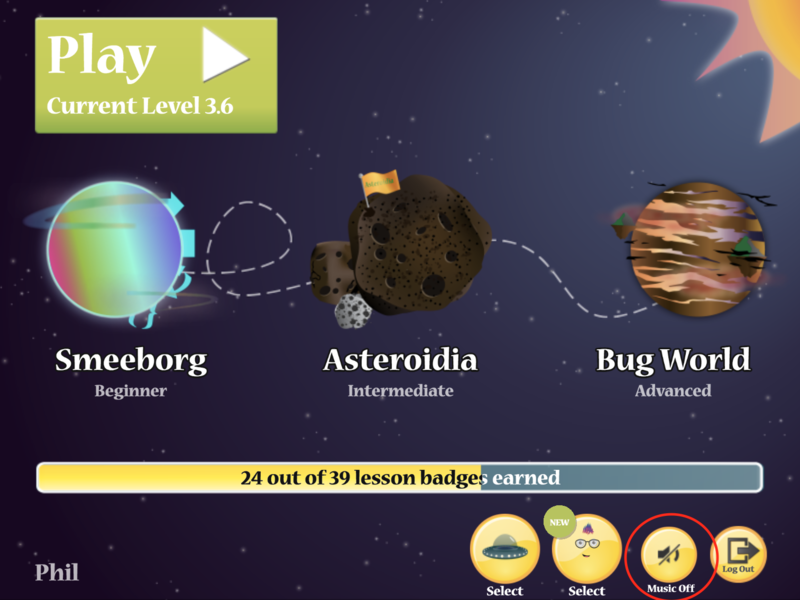 These options look and function the same way across devices, including the web version game.kodable.com.